Jack Mencini and Adam Sonnhalter, the small business coaches from Maximum Value Partners (www.maximumvp.com), a.k.a “The UnStuckers”, address many how questions and get people unstuck from the state of HOW! 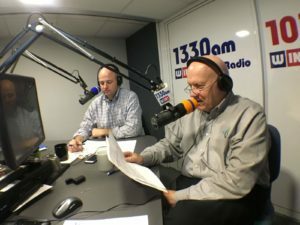 In this week’s episode of Dirty Secrets of Small Business at 7:30pm (EST) on WINT Radio 1330 AM and 101.5 FM every Wednesday, the cohosts discuss how do you get the owner of a dysfunctional company to change? When you start talking about dysfunction in the workplace or in the home, the word “normal” will usually pop up. What is “normal” for you can be very different for someone else from a different background or experience. What is “normal” will also change over time due to social norms and what the family or the business is experiencing. Years ago the normal family unit was mom at home and dad being the breadwinner with daily dinners and all members of the family around the dinner table at 5:30pm. Back then…that was normal, but probably pretty unusual in today’s environment. In looking at small business and addressing the question of what is normal, it is often difficult for the business owner to know what is normal since they typically only know their own business. It’s helpful to get the perspective of outsiders, especially ones who have seen a lot of different companies. This helps the business owner understand and admit that there is some dysfunction in the workplace. Initially, there will be some denial because the business owner sees what is going on in their business as normal. A couple of examples of what dysfunction might look like include family members who are employees and don’t differentiate between work and personal. For instance, if they yell and scream at each other at family functions, you will usually hear them reacting in the same way in the work environment. This can be very disruptive to the other team members and even the outside vendors and customers. And it’s not normal! Too many times, this dysfunctional behavior is not viewed as a problem because the owner’s relationship is based on the family dynamic rather than the professional work dynamic. 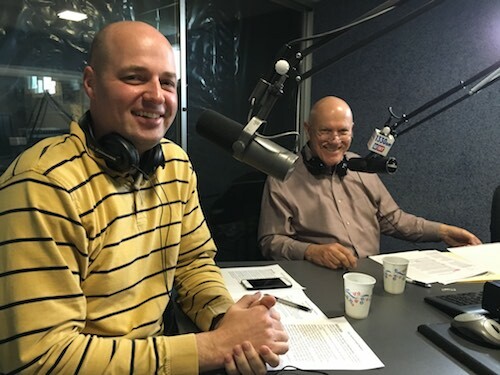 In addition to this topic, Jack and Adam give insights into the value and ramifications of what the constant churn of people in a small business organization can do to the future of the business. Jack and Adam share a few dirty secrets on how to quickly tell if you are hiring a good employee and how to tell if a business is running smoothly within a few minutes. For more info on small business challenges tune into this week’s May 17 podcast on iTunes or http://maximumvp.com/dirty-secrets-small-business-radio-show-podcast/ or call Jack or Adam for help with your small business challenges at 877-849-0670. The post How do you get the owner of a dysfunctional company to change? appeared first on Maximum Value Partners.